Are you looking for an easy way to let your site visitors choose which mailing list they want to be added to? If you let users pick a MailChimp list from your WordPress form, you’ll always know you’re giving subscribers exactly what they want. In this article, we’ll show you the easiest way to give site visitors a way to choose which mailing list they want to be added to. This way they receive the information they want, and you keep them as loyal subscribers. The first thing you’ll need to do is install and activate the WPForms plugin. For more details, follow this step by step guide on installing a plugin in WordPress. 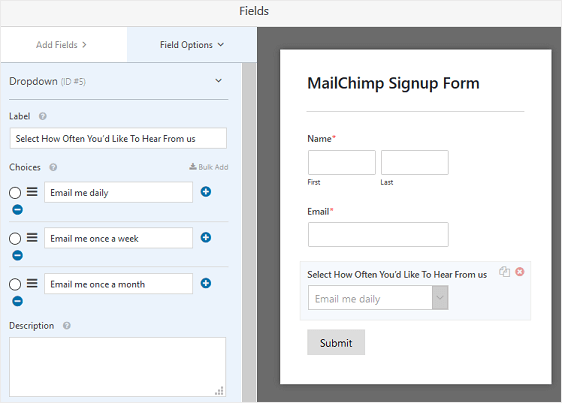 From there, you’ll need to activate the MailChimp addon to integrate your form with MailChimp. Next, create a newsletter signup form. 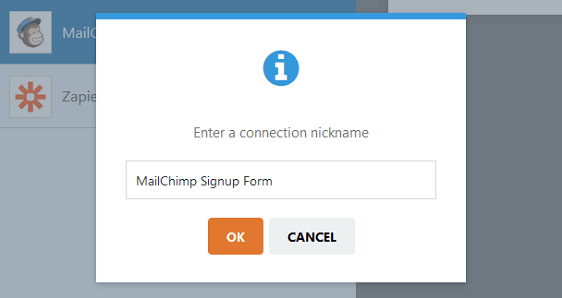 For step by step directions, check out our tutorial on how to create a MailChimp signup form in WordPress. After creating your form, you’ll need to add a dropdown menu so site visitors can pick which mailing list they want to be a part of. To do this, simple drag the Dropdown field from the left hand panel to your form on the right hand side. Then, click on the field to open up the Form Editor so you can make changes. 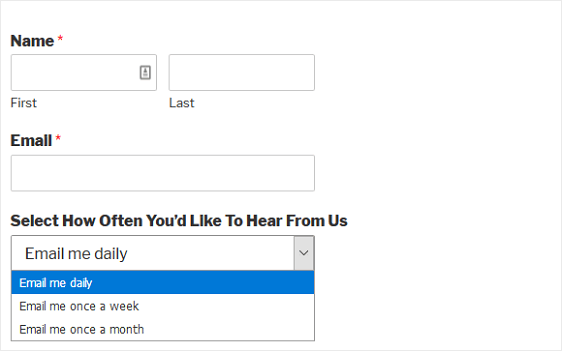 For our example, we’ll label our dropdown menu Select How Often You’d Like To Hear From Us. Next, we’ll change the choices to the following: email me daily, email me once a week, and email me once a month. You can change these choices to anything you want, and even add or delete options too. Plus, you can also add a description to the bottom of the dropdown menu. When you’ve made all your changes, click Save. 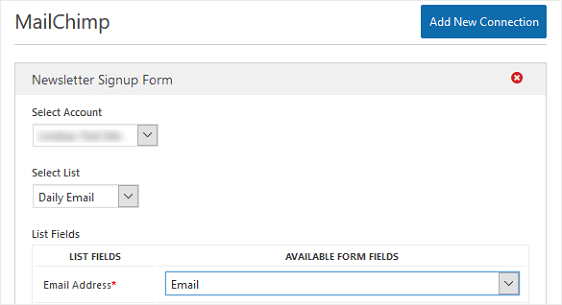 In order for your dropdown menu to work, you have to configure MailChimp to work with WPForms. To do this, click on the Marketing tab and then MailChimp. Next, click on Add New Connection. You’ll see a popup appear asking you to name this connection. Name it whatever makes most sense to you. For our example, we’ll name ours MailChimp Signup Form. Next, scroll to the bottom and click the Enable Conditional logic checkbox. By doing this, you’re telling WPForms to send site visitor information to the right MailChimp mailing list based on your user’s selection from the dropdown menu. In our example, we’ll process this connection if Select How Often You’d Like To Hear From Us is Email me daily. Of course, your conditional logic options will differ depending on how you set up your dropdown menu. Next, click the Add new connection button. Now, repeat the same steps as above for all MailChimp mailing list options you have for site visitors to pick from. For instance, we’ll have a total of three connections. This is because we’re giving visitors three options: email me daily, once a week, and once a month. Click Save to store your connections and add the form to your website. If you want to let users know their form has been submitted, check out this tutorial on how to send email confirmations. Now you know how to let users pick a MailChimp list from your WordPress forms. If you really want to grow you email list, be sure to check out these research based tips on boosting contact form conversions.